The online PaCT tool (National Standards Progress and Consistancy Tool) was never designed, or initially intended, as a system of national assessment. It was designed as just another tool that teachers could use to check the accuracy of their overall teacher judgements. Many schools agreed to trial the system as they could see the benefits of having an online tool that could be used for some children and support the range of other assessments available to them. The teaching profession has long recognised that a single assessment provides a limited perspective on a child's achievement and multiple measures provide broader coverage and will be more likely to establish the level a child is working at and what the next learning steps should encompass. It is important to recognise that no child is alike and certain assessments can be more useful than others when related to different children, especially in a multi-cultural country like New Zealand. Doctors do not rely on a single test to establish the overall health of patients and neither should teachers. Once a single assessment is used to compare all children and schools and measure teacher performance (as this PaCT tool will inevitably be used to do) we will create a high stakes system that will shift the focus from the needs of children. Despite the fact that other assessment systems will still exist PaCT will become the most important one and teaching will naturally shift to ensuring that children will do well in it. This will narrow teaching to the requirements of the test, and create high levels of stress for children, parents, teachers and schools. The potential that exists in our National Curriculum and its holistic approach will not be realised and important learning areas such as Science, Technology and the Arts will suffer further. The current National Standards data (despite its flaws) just revealed what teachers already knew, achievement levels are closely related to the decile of the school and those children who are come from environments affected by poverty will do less well than kids from affluent backgrounds. Teachers and schools can make a difference but research has shown that of all the factors influencing a child's achievement, a teacher contributes only 10%. When the PaCT results are aggregated into the inevitable league tables, and are used to compare schools, then the data will gain a significance well beyond what they really represent. Teachers and schools will be reluctant to take on children with high needs or those who will have a negative impact on test scores. Teachers will be reluctant to teach in low decile schools as unfair judgements will be made on their professional abilities based on the test scores of their children. If this Government is really serious about their priority of lifting the achievement of Maori and Pasifika children and improving education delivery then they should invest in professional development and properly resourcing schools, not high stakes assessment systems. 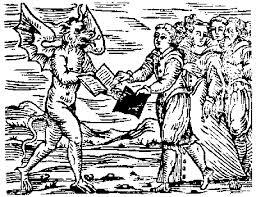 Mandating PaCT may sound perfectly reasonable to those not involved in education but the devil is in the detail. Good points. Quality PD has been sadly missing in the last four years and will have lasting effects if its not fixed soon. Proper resourcing of schooks is definitely needed, especially for the struggling kids who currently miss out on getting the best help for them.